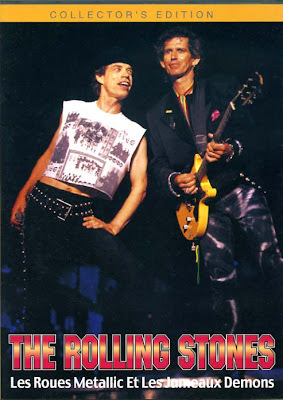 Bootleg Rambler: [DVD×2 FULL - Pro Shot] The Rolling Stones - 1989-12-14 Olympic Stadium Montreal, Quebec, Canada "Les Roues Metallic Jumeaux Demons"
[DVD×2 FULL - Pro Shot] The Rolling Stones - 1989-12-14 Olympic Stadium Montreal, Quebec, Canada "Les Roues Metallic Jumeaux Demons"
There is indication that a file is broken and easily checked it generally, but there does not seem to be the problem in particular ! It was commented that a file was broken, but was able to acquire it without a problem by the check of my all files. But there is it when thawing stops because I omitted a procedure a little. Not defrosting (), in turn when I go around some storages and download it because space, is incompatible. (but I think that I understand the rough one...) is slightly troublesome, but, in the case of thawing, please change the file name to the brief thing in turn.